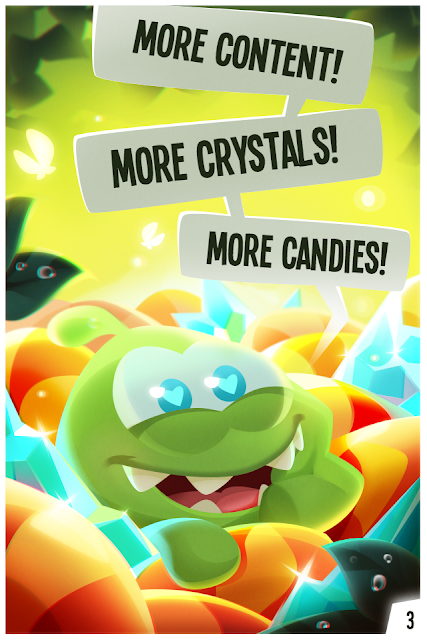 "Cut The Rope" and "Pudding Monsters": NEW Level Every Day in "Cut The Rope: Magic" ver. 1.4 !!! 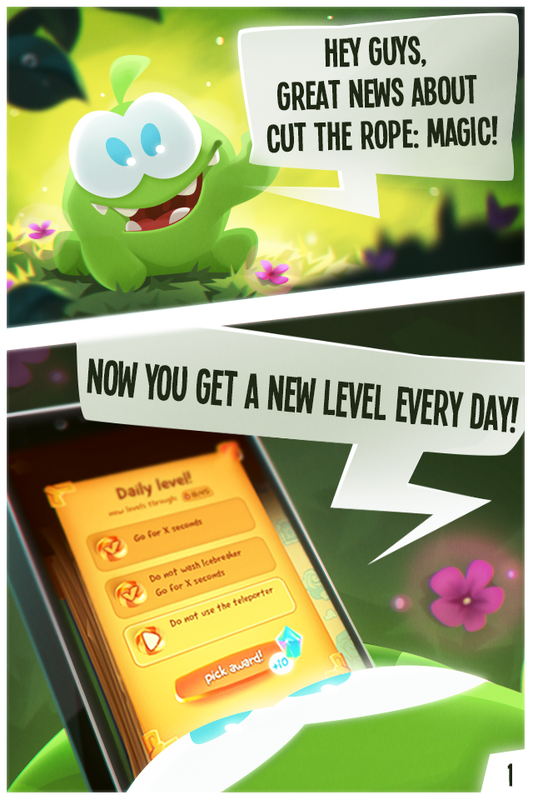 NEW Level Every Day in "Cut The Rope: Magic" ver. 1.4 !!! 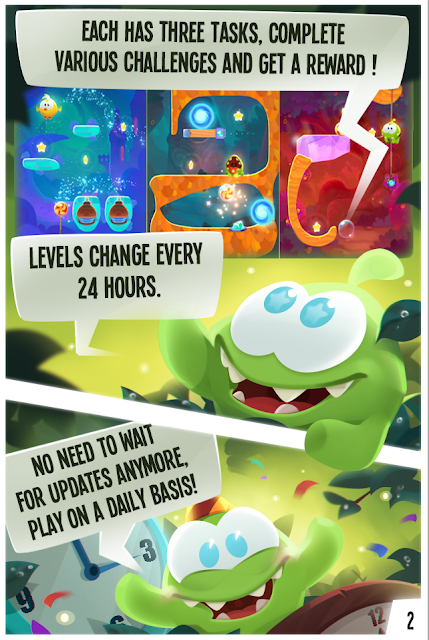 Play a new level every day in "Cut The Rope: Magic" !!! Ever been in a situation when all levels are completed and you have to wait for an update to play your favourite puzzle again ? Well, not anymore ! With the new update ver. 1.4 you get a new unique level every day ! When you're experienced enough, "daily missions" icon will appear in the main menu. Tap on it and you'll get a unique level and 24 hours to complete it. Each level has 3 challenges. Pass them all to get a reward ! The level changes every day. Keep playing to help ‪Om Nom‬ get all the candies !